The Defendant, Michael Schmidt, has been charged by the MNR and the GBHU with various infractions against the HPPA and Milk Act. Accordingly the Defense provides the following arguments and submissions for consideration. I was born in Germany in 1954. Both my parents came from rural background. My grandparents lost our farm in Eastern Germany during the war to the Russians and had to flee. I grew up in rural Germany, worked on farms all my life. After High school I started my formal training and studies in Agriculture. In 1978 I received my masters in Agriculture. My master thesis was the bio-dynamic farm concept, the earliest form of organic agriculture. This degree allowed me to start teaching young farmers in all aspects of agriculture. Since that time I have individually trained practically over 100 young farmers in the art of farming. 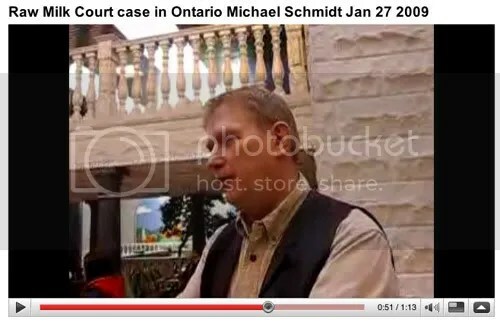 “…Michael Schmidt is conducting his own defence during the trial in Newmarket on about 20 charges stemming from an armed raid of his farm in November 2006. Is the best dairy in Ontario illegal? “At the back of any good cheese shop, there’s a hidden stash: a few unmarked rinds stacked in the walk-in refrigerator or piled in a bin behind the cash register. You might find a cylinder of exquisitely runny blue-streaked Dragon’s Breath sealed in black wax; or maybe a sharp sheep’s milk cheese lovingly aged by a local chef for two years; or a washed rind from Quebec that tastes delicately of fruit and herbs. 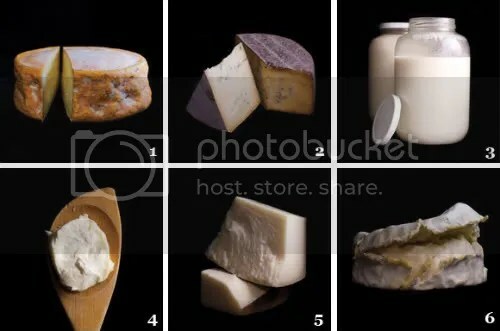 These are some of the best Canadian cheeses. They are also illegal. 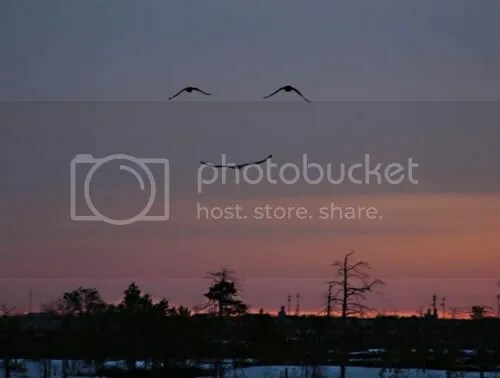 A message in the heavens? Thursday at 9:00 am both sides will give summary statements. Starting in afternoon, the Charter, section 7 part of the case will begin with Dr. Ted Beals from Michigan. Dr. Beals will address the pathogen aspect and talk about his experience advising cow share programs across the USA. On Friday morning Dr. Ron Hull will take the stand. Then the Attorney General’s office may begin Friday afternoon with their defence against Michael’s Charter challenge. Today the Court denied Michael’s other Charter challenges from other sections of the Charter because they were filed late and the Attorney General’s office did not have time to adequetely respond. The judge was not also willing to grant a motion arguing that Michael’s witness statement from November 2006 was made under duress or given involunarily. The judge ruled after hearing evidence from those that did the raid. The judge did say that execution of the search warrant was carried out in a deplorable way — effectively confined Michael and his farm hands in their kitchen for 7 1/2 hours.